Leon E. Firsich, 87, of Connersville passed away unexpectedly early Wednesday morning, September 12, 2018, at Fayette Regional Health System. One of eleven children of Albert H. and Ida Dudley Firsich, Leon was born on April 9, 1931, in Connersville. 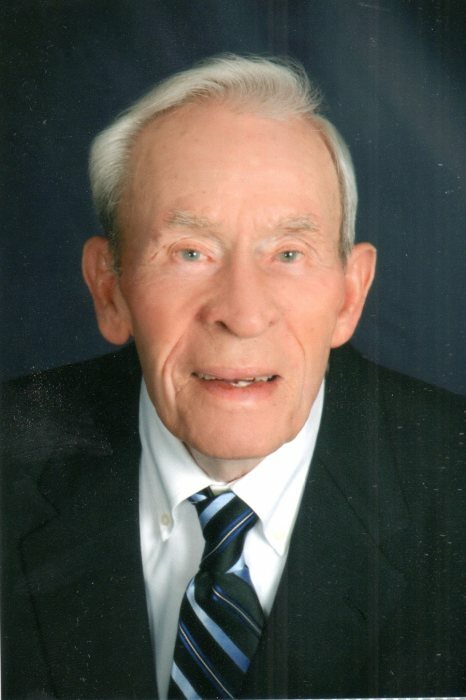 He attended St. Gabriel School and graduated from Connersville High School with the class of 1949. Leon served his country in the United States Army during the Korean War in the 25th Infantry Division receiving the combat infantry badge, Korean War service medal with two bronze service stars, and the United Nations service medal. He was honorably discharged in August 1953. On January 5, 1957, Leon married the former Nancy C. Smith in St. Gabriel Church. Mrs. Firsich survives. Leon was employed at American Kitchens for five years and Dresser-Roots as a timekeeper for 36 years, retiring in 1993. Leon was a faithful member of St. Gabriel Church and in his leisure time enjoyed gardening, and was an avid sports fan, especially of Notre Dame football, Indianapolis Colts, and Indiana University Basketball. A loving husband, father, and grandfather, Leon enjoyed spending time with his family. Besides his wife of 61 years, Nancy Firsich, survivors include his son, Daniel E. Firsich of Connersville; a daughter, Lee Ann (Gregory) Girolami of New Palestine; three grandchildren, Michael (Emily) Firsich, Natalie Girolami, and Stephanie Girolami; a great-granddaughter, Aurora Firsich; a sister, Mary Ann Willhelm of Connersville; and a sister-in-law, Martha Firsich of Connersville. Leon was preceded in death by his parents; five brothers, Albert, Robert, Vincent, William, and James Firsich; and four sisters, Viola Spaulding, Barbara Wilson, Christina Wise, and Deloris Temple. Family and friends may call from 11:30 a.m. until the Mass of Christian Burial at 1:30 p.m. on Friday, September 14, 2018, at St. Gabriel Catholic Church, 232 W 9th Street, Connersville, Indiana 47331. Reverend Dustin Boehm will officiate. Burial with military honors provided by the Fayette County Veterans Council will follow in Dale Cemetery. Miller, Moster, Robbins Funeral Home has been entrusted with the arrangements. Memorial contributions can be made to St. Gabriel School Endowment Fund, and 0nline condolences may be made anytime at millermosterrobbins.com.